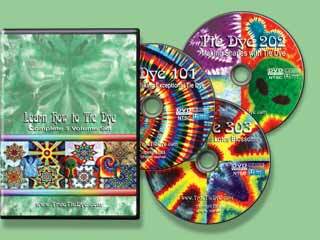 The "Learn How To Tie Dye" 3 DVD Set presents a complete system for creating top notch tie dye t-shirts, dresses and tapestries. Learn how to consistently produce incredible spirals, shapes and mandalas! Ships within 24 hours - Order online today! Learn more about making tie dye of your own.